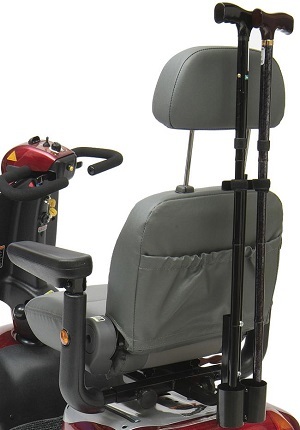 Designed to protect the electronics whilst you maintain full control of the handles and brakes. Fits most scooters. 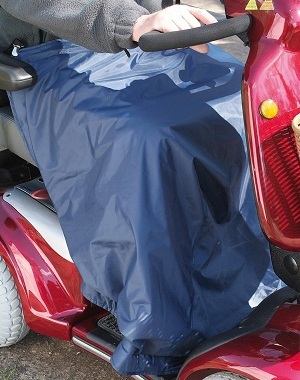 If you are looking for lower body protection whilst on the scooter consider the scooter leg cape, a waterproof leg cover with a thermal, quilted fleece lining for extra warmth. 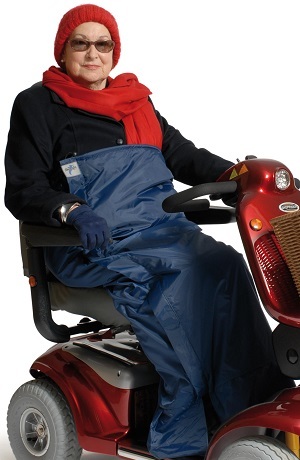 A quilted, thermal fleece lined cosy which acts like a sleeping bag for the lower body. The unique advantage is the open base enabling you to position your feet either side of the tiller. Your feet remain dry with a nylon shoe protector. 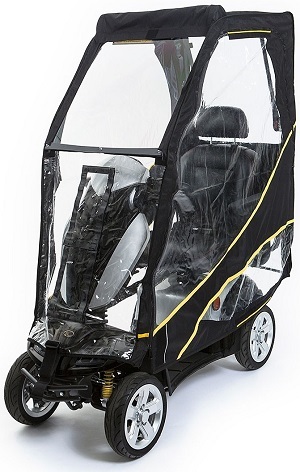 For complete wind and rain protection from head to toe, including your scooter. 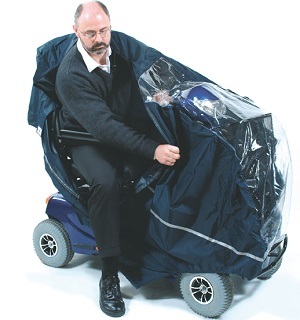 Our capes are sutable for 3 or 4 wheel scooters, Velcro slots accommodate your scooters mirrors whilst retaining maximum waterproofing. The clear front panel enables you to clearly view the controls whilst ensuring that you can safely use your lights. 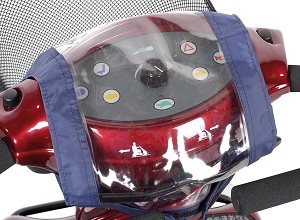 Features an easy to use single zip fastening, enabling you to climb in and out of the scooter with ease. Designed to fit most midi and maxi scooters. 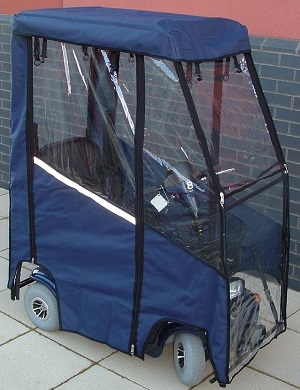 Folding scooter canopy that fits almost any scooter. Crutches or walking sticks sit comfortably in two metal holders and secure at the top with velcro fastenings. Attaches to the rear of your scooter with a universal fitting suitable for most scooters. A fun and exciting new bag offering durability, functionality and a style to suit every customer. A spacious bag with netted side pockets and a large front pocket. 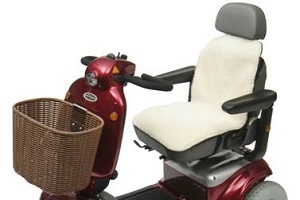 Fits most wheelchairs, scooters and powerchairs. A spacious bag with two side holders for your crutches or walking sticks and a large front pocket. 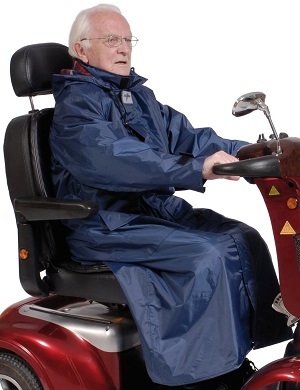 Fits most wheelchairs, scooters and powerchairs. For those who have nowhere to store their scooter this is the perfect solution. 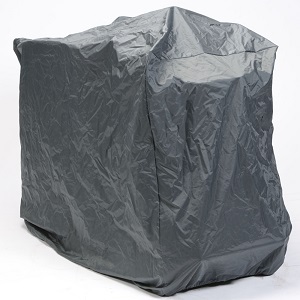 Simply attach the locking arm to the base of the scooter shelter, drive on to the metal base plate and pull the heavy duty, fully waterproof, metal framed structure over your scooter. 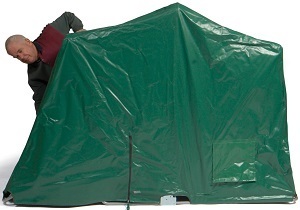 Secure the locking arm to the main frame with the padlock and conceal behind the zip. Features two easy access flaps for simpler battery charging. 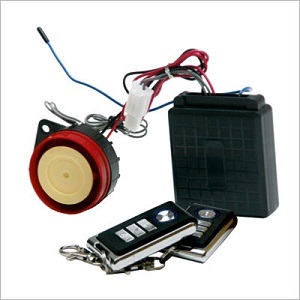 This attractive professional alarm will provide comfort and security, it can be installed by any qualified electrician, mobility engineer or competent DIYer. It is wired directly to one of the scooter batteries. The alarm is triggered by a motion sensor. The user interface allows for five levels of sensitivity to ensure you are not troubled by false alarms. The alarm comes with two fobs and has a find scooter button. 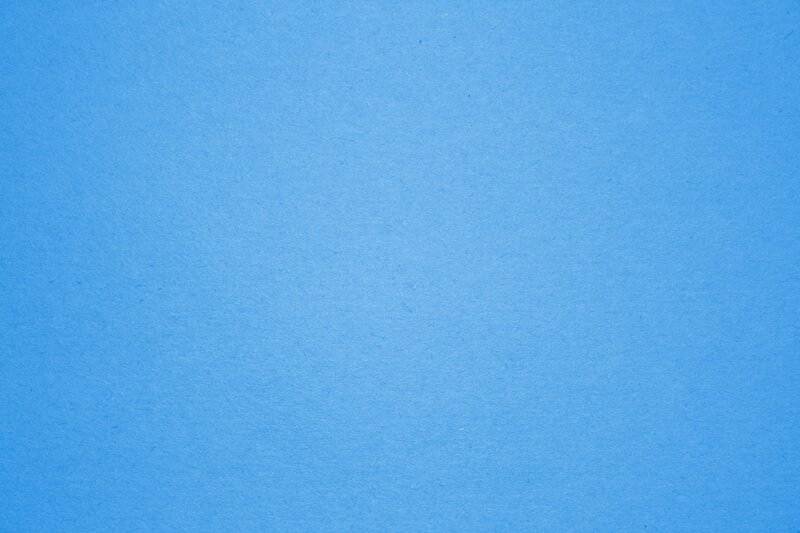 Don�t forget to advise your insurers that you have fitted an alarm.